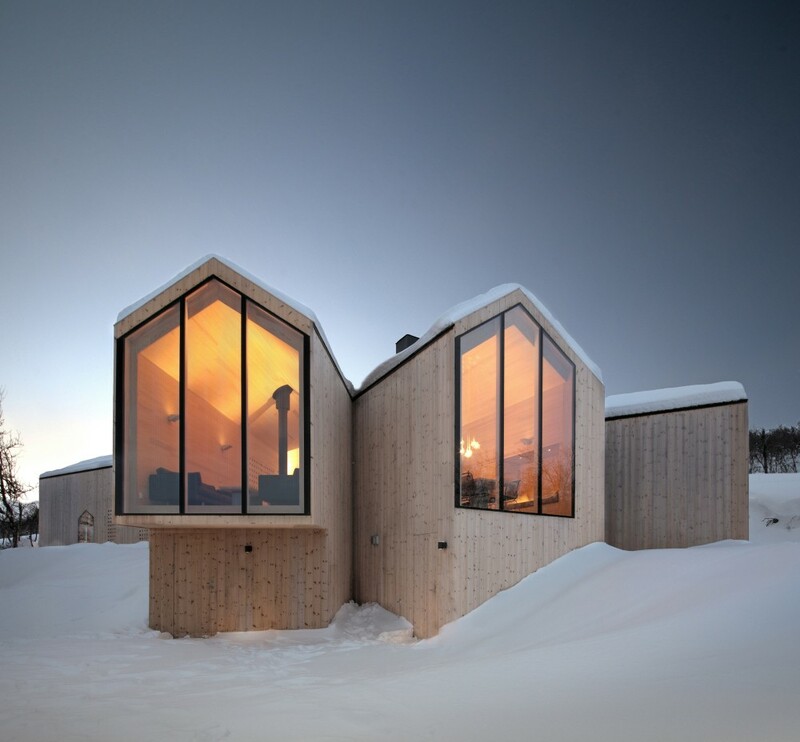 The Split View Mountain Lodge was built just outside of the village of Geilo in Norway in an area popular amongst skiers. 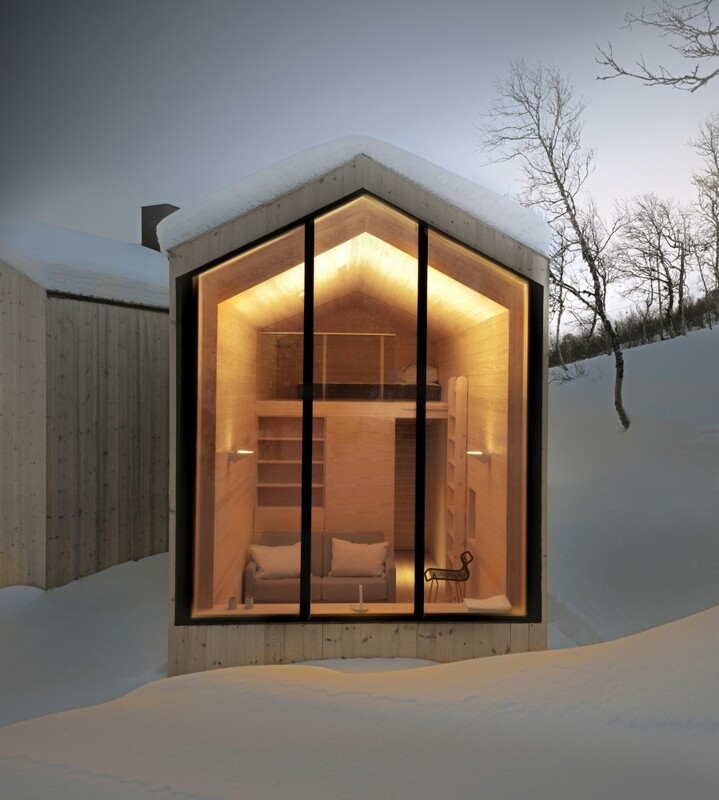 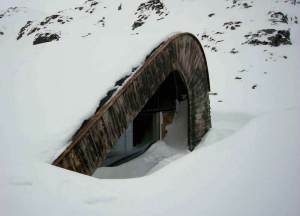 The lodge serves as a house for a family of four (soon to be five) and was designed by Reiulf Ramstad Arkitekter. 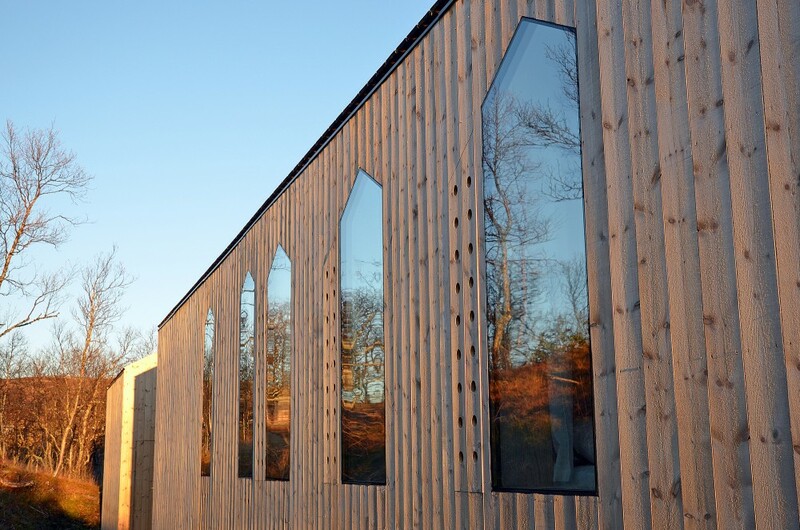 It features an all wood construction with timber cladding on both the exterior and interior except for some huge windows at the ends of its protruding wings which occupy the entire gables. 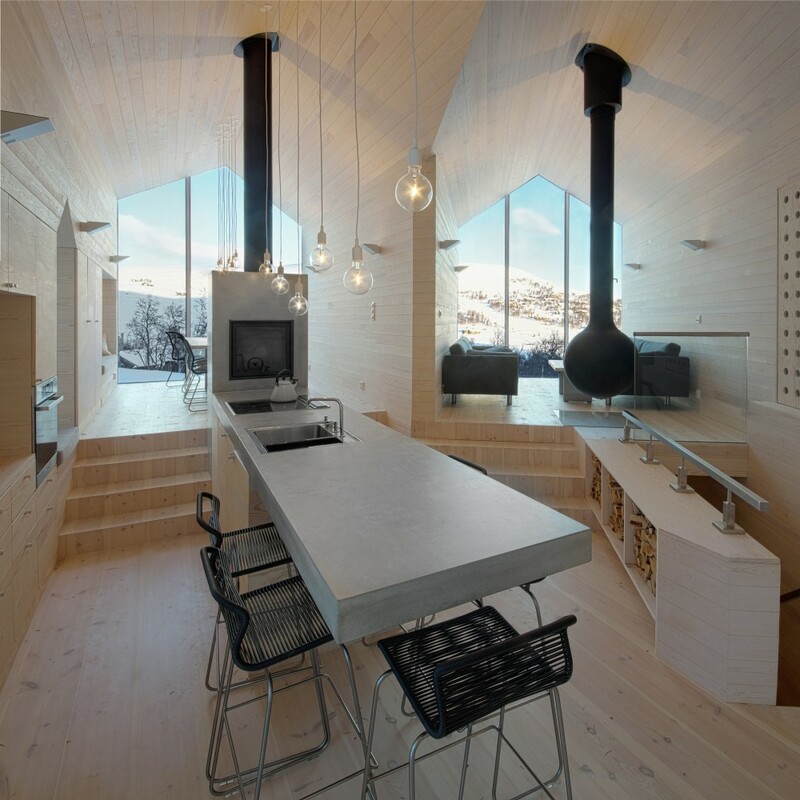 This residence acts almost as a modern take on traditional swiss ski chalets with it’s all wood composition and emphasis on pitched roofs. 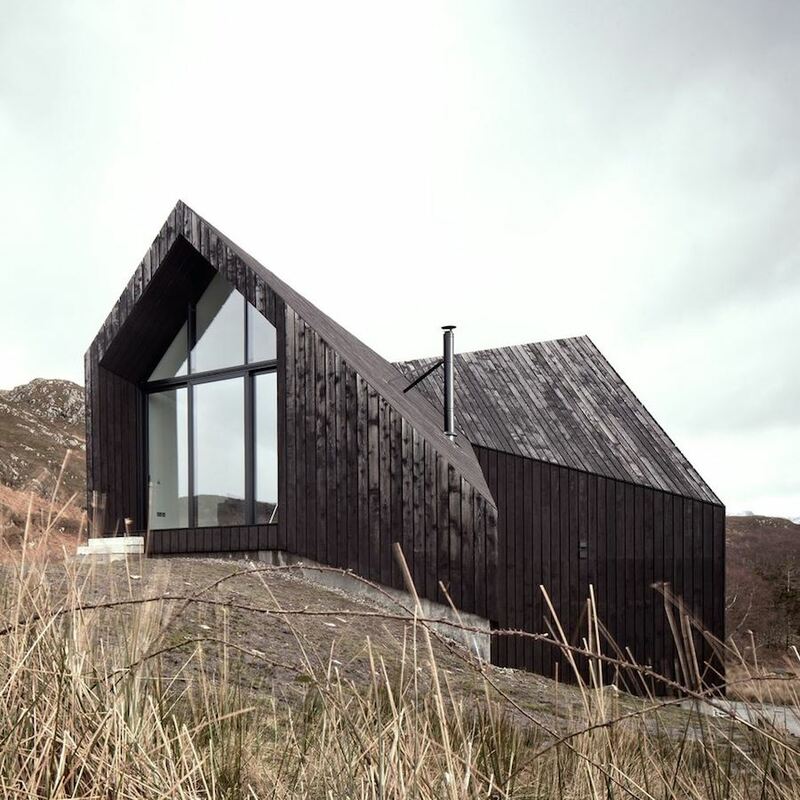 Three extruded wings jut out at various angles from the main structure and offer differing views of the surrounding mountains. 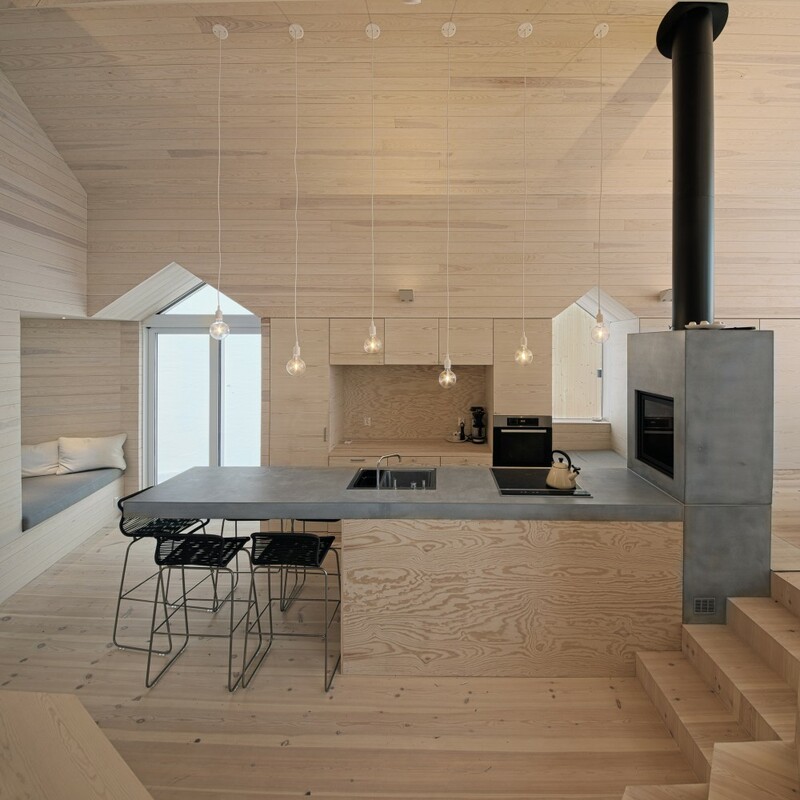 Two of these angled wings join up in the communal kitchen and living area and are divided by a wedge shaped wall to create two distinct spaces. 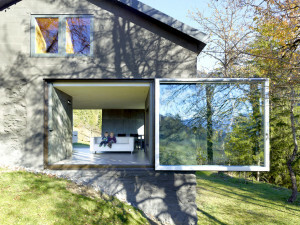 A third wing with similar full gable window features an annxed living space and raised bed on a mezzanine level. 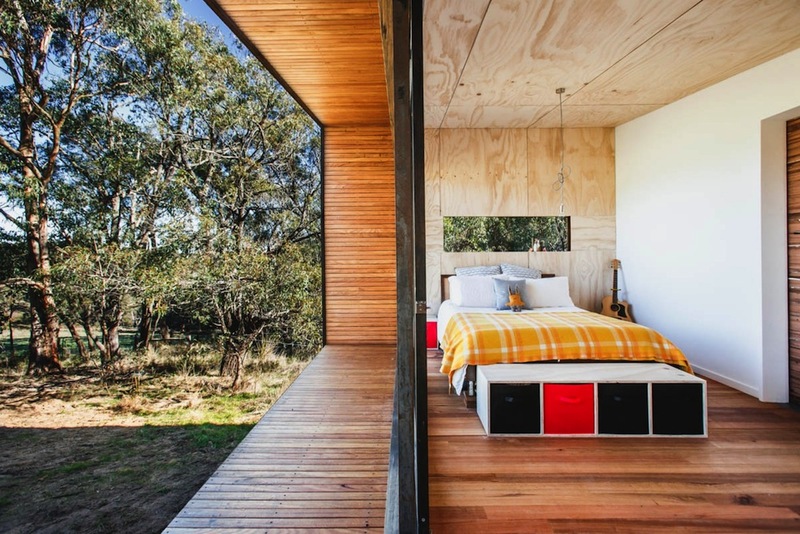 The Split View Mountain Lodge has four bedrooms in total for the family and guests. 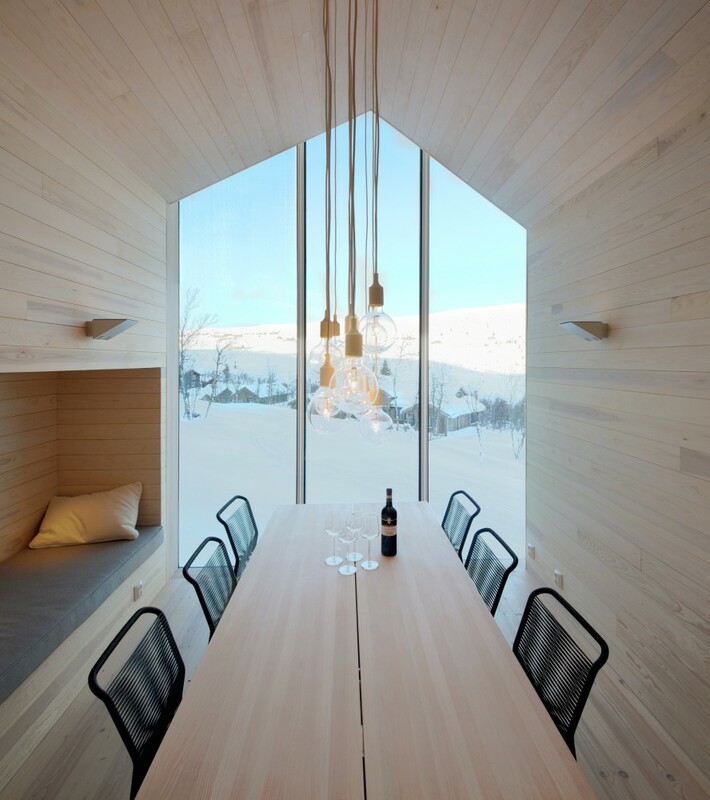 As mentioned wood was used extensively in the Split View Mountain Lodge with very high grade, light timber used for the interior cladding. 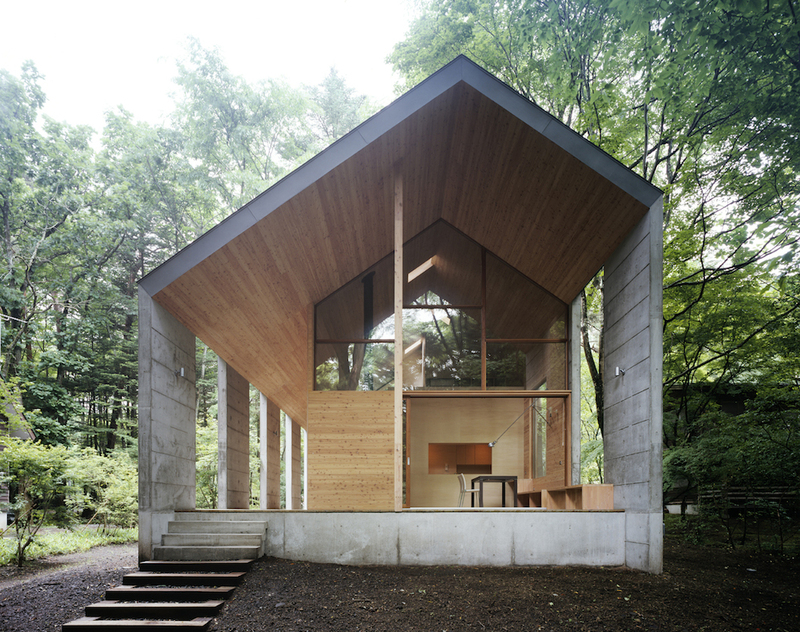 It bares virtually no knots and create a light atmosphere. 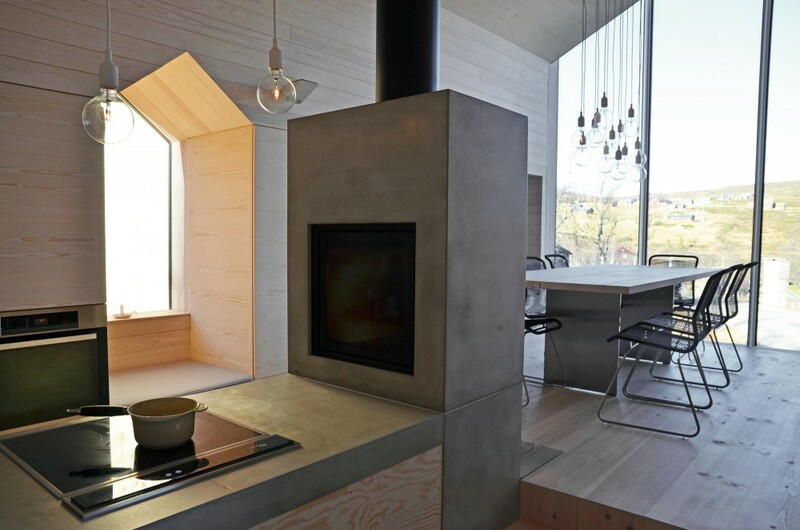 Plywood sheets have also been used for larger panels such as in the kitchen units and polished concrete has been used sparingly for the counter surface and the unique minimalist fireplace. 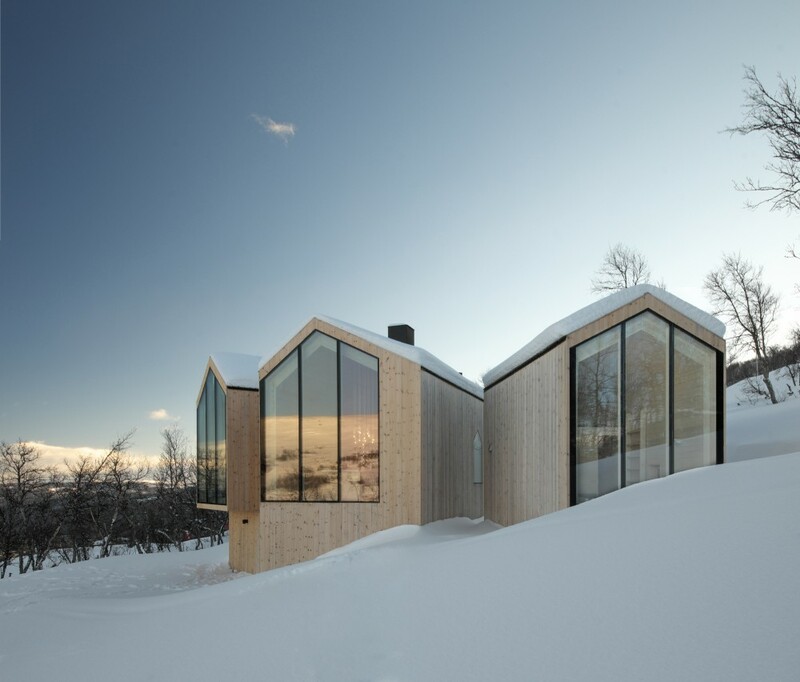 Pentagonal windows similar to the huge gable windows seem to be a recurring theme in the Split View Mountain Lodge by Reiulf Ramstad Arkitekter with a further row of them running along the wall of the main structure. 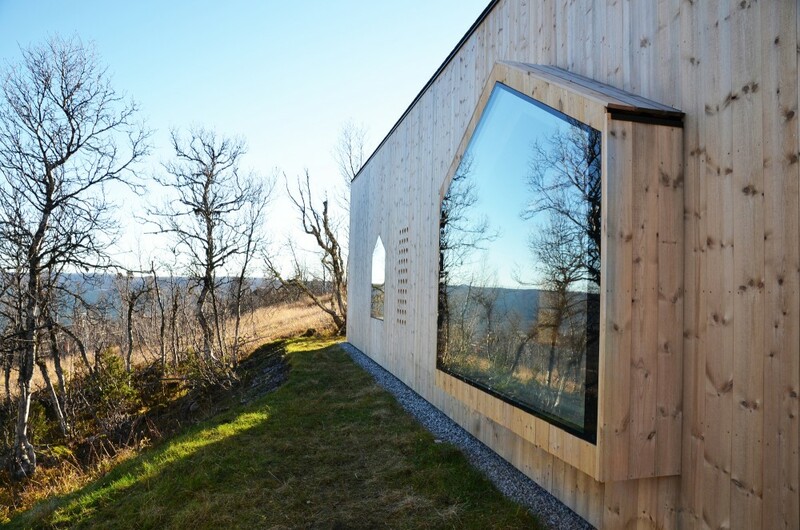 The timber of the exterior cladding is of a much lower grade but is expected to ‘silver’ over time and develop a grey colour which will help the house blend into its often snowy Norwegian environment.